“I lament the idols of my youth being overshadowed by a generation of flawed and merchandised millionaire athletes.” – artist Anthony Jenkins. 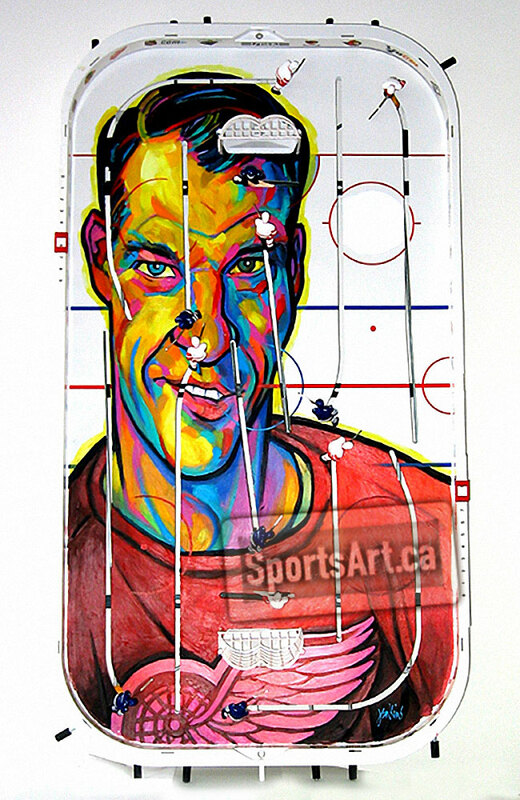 Using table hockey games as his canvas, Jenkins brilliantly painted Gordie Howe in “Mr. Hockey”. FREE SHIPPING to Canada & US. Add charges to ship elsewhere worldwide. SELECT FLAG for preferred currency. 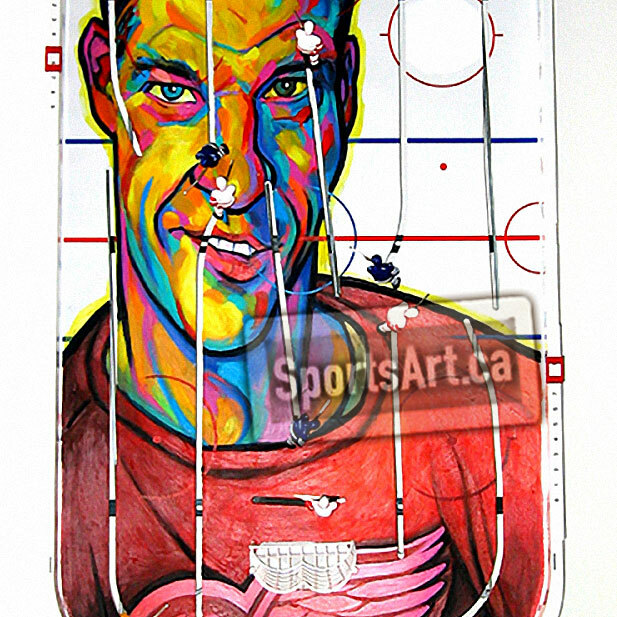 © 2018 SportsArt.ca - Prices are for ownership of the original artwork/print. Our artist retains all reproduction rights.